Davidson Holidays for Hope and Housing is coming up on Saturday, December 8. DAVIDSON — A holiday glow will flicker to life across Davidson at dusk Saturday December 15 as the town’s traditional lighting of luminaria is held for the 18 year. NOTE: This is a one week delay based on the weather predictions for this coming weekend. Sponsored by the Davidson Housing Coalition, the “Holidays For Hope and Housing” event has spread from the McConnell neighborhood where it began to include all Davidson and has crossed the border into the Bailey’s Glen development in Cornelius. 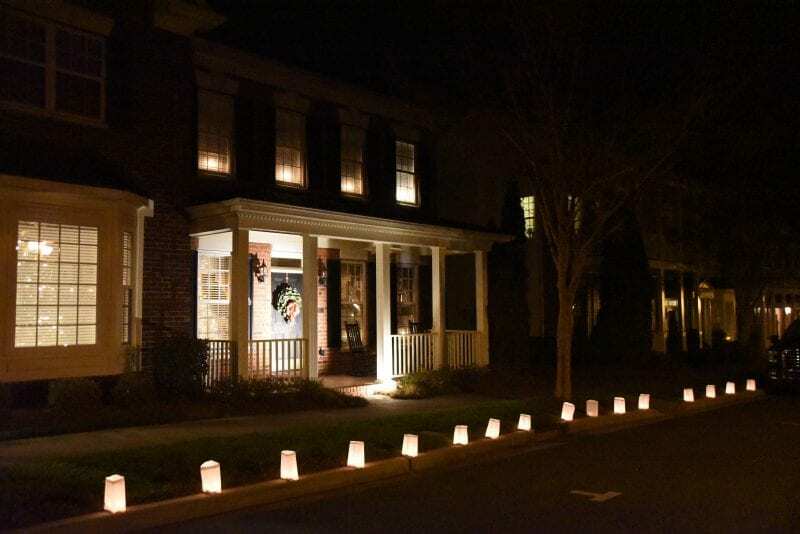 Each year since 1999 — except for one drought year when the fire marshal banned any outdoor burning — residents have illuminated their sidewalks one Saturday night in December with luminaria supplied by the coalition in exchange for donations of any amount. About $1,500 was collected in the first year. Now the event raises nearly $60,000 for the coalition, a non-profit formed in 1996 that ensures affordable housing options are available in Davidson, which has the highest median home prices in Mecklenburg County and is facing rapid gentrification. According to the Urban Institute at UNC-Charlotte, of the 5,500 people who work in Davidson, about half earn less than $40,000 annually and only 8 percent live in the town. In its two decades, the Davidson Housing Coalition has created more than 80 housing units in the town and is working now to create new units for military veterans. Also, the coalition provides home-buyer education, financial literacy counseling, a job search assistance program and HAMMERS, a home emergency repair program serving the greater Lake Norman area. 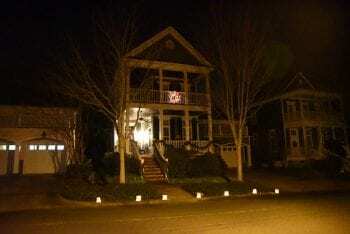 Sets of luminaria, which include eight translucent bags and candles, are available from neighborhood captains or at the Davidson Housing Coalition, 220 Sloan St., next to Davidson Pizza. For more information, call 704-892-4486 or visit www.davidsonhousing.org.